Do you consider small business hiring to be an important element in your success? Most small businesses have 10 or fewer employees, but the right employee in a management or strategist position can grow your company into one that needs dozens of employees. Alas, finding and hiring the perfect candidate can be challenging. If you do not have a human resources department who helps with the hiring process, you are on your own. Take advantage of these key strategies that can be beneficial when it comes to getting that perfect fit within your company. 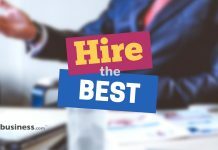 Remember when you told previous potential hires that you would “keep their resume on file?” Why not hold up to that statement? Looking at previous candidates can be a great way to avoid the lengthy small business recruiting process. You could discover a former rejection that almost made the cut who would be perfect for your company now. Simply pull the resumes and applications that you have kept for the same job. Review them and pull the ‘close but no cigar’ candidates. Contact them and let them know that the position, or even a different position, is open and see if they are still interested in joining your company. One way to weed out the almost assured rejections is to have potential candidates pass a secret ‘test’. Some entrepreneurs have become creative with their small business recruiting practices. Rather than advertising a job and collecting resumes/applications the traditional way, they place a job posting with specific directions. Only those who follow directions precisely will get a chance at the job. An online posting may include a link to a web page on your website telling candidates how to apply with specific directions. For instance, a copywriting/editing job may ask candidates to review a page of text and make corrections and offer improvements to the copy. The truly qualified people will submit a well-edited document ready for publication. There is no rule or law that states you have to conform to traditional small business hiring paradigms. Consider making a recruiting video. You as the business owner can greet potential hires with a brief overview of your company, where you’re headed, what you’ve accomplished, and what you need. Post a link to the video on job recruiting sites. Not only does a small business recruiting video make a more interesting statement about your company, it helps your business stand apart from the others. Another small business hiring method that can be effective for key positions is to actively become a ‘headhunter’. Personally approaching people you may already know or who may be in your contact network can be flattering and demonstrate to them that you mean business. LinkedIn is a great way to jumpstart this approach. However, be careful and diplomatic if you do take this strategy. An entrepreneur known for “stealing” employees can soon become the scourge of an industry in a region. However, the results of this method of small business recruiting can save a lot of time, energy, and it can get you the perfect candidate for your company. One non-traditional method of small business recruiting and interviewing candidates is to get a group of them in a room and engage in discussion. Of course, you’ll want to define an agenda to keep things on track. Ask questions. Invite discussion, and most importantly, observe behavior, as well as answers. This format can reveal candidates who are feisty, work well in teams, or are non-participating, etc. During the small business recruiting process, don’t fail to dig into what makes a candidate ‘tick’. Job experience, education, and skills are nice to have, but you are hiring a person, not a resume. Find out what the candidate enjoys. Discover their hobbies, interests, and why they work in your industry. These intangible elements can truly define the right and perfect candidate for your company more than job skills on a resume.